Home/galvanizing, Performance/Can galvanized steel be repaired? Q: We recently had to carry out some remedial work on site, prior to erecting a Hot Dip Galvanized steel structure. The architect on the job was concerned that we might have intrinsically damaged the corrosion protection of the steel. Is this the case? What is the repairing galvanised steel process? A: Small areas of galvanizing may be damaged by operations such as cutting or welding. Also, small areas of damage may occur in transport and erection. Because of the sacrificial action of zinc, localised flaws (up to 5mm in diameter) tend to be self healing and have little effect on the life of the coating. Nevertheless, it is often aesthetically desirable to renew the coating over small areas as well as larger areas using one of the following techniques. Thoroughly wire-brush the affected areas and apply several coats of zinc-rich primer (min. 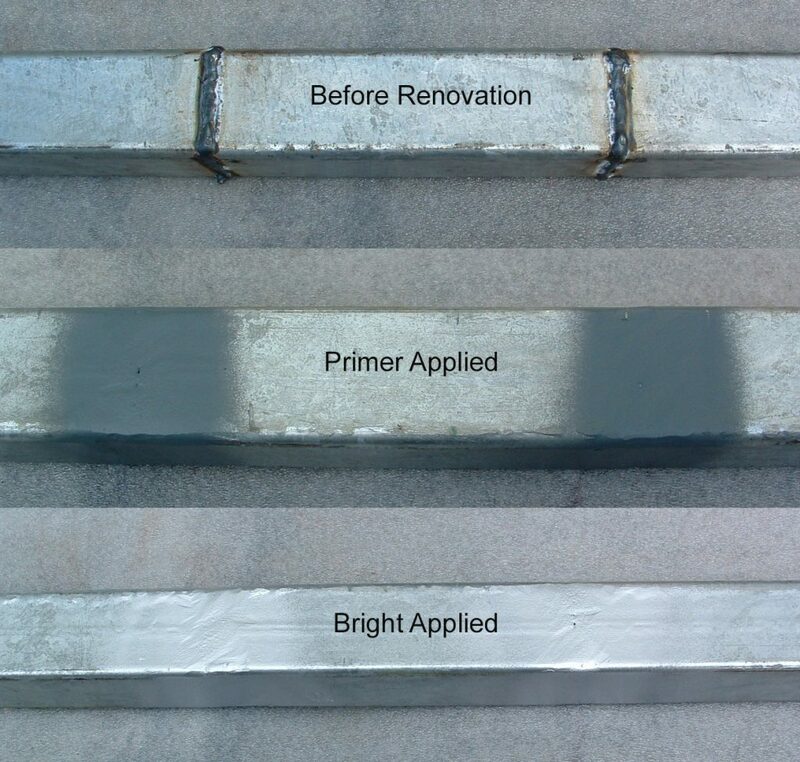 90% zinc content) to give a coating thickness at least equivalent to the original galvanizing. Many of these paints deposit zinc at about 150g/m/coat; This will usually give a dull coating as illustrated. 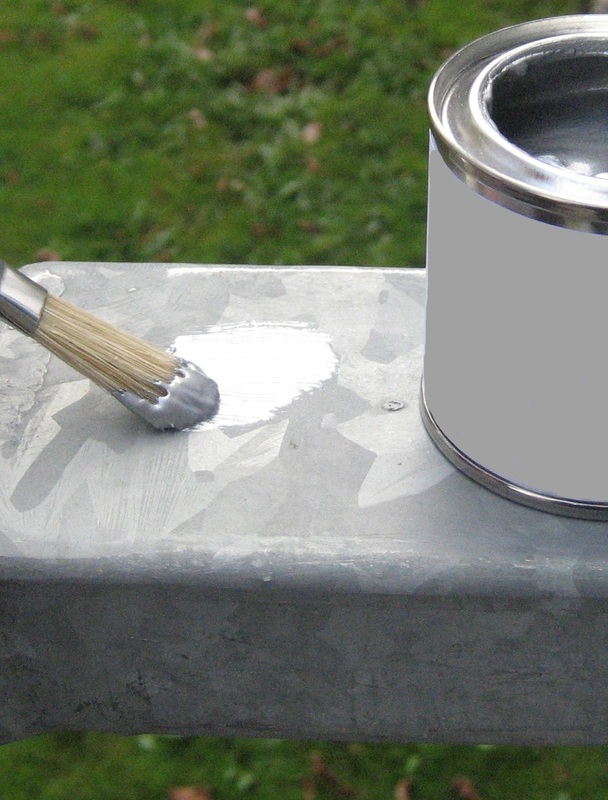 A top coat of ‘bright galvanizing spray’ may be then applied to achieve a suitable colour match Areas of galvanizing which are damaged – for instance by welding – may be readily made good. Here system (a) above has been used. Thoroughly wire-brush then heat the bare area with a blow torch to 300°C and apply special zinc alloy rod.